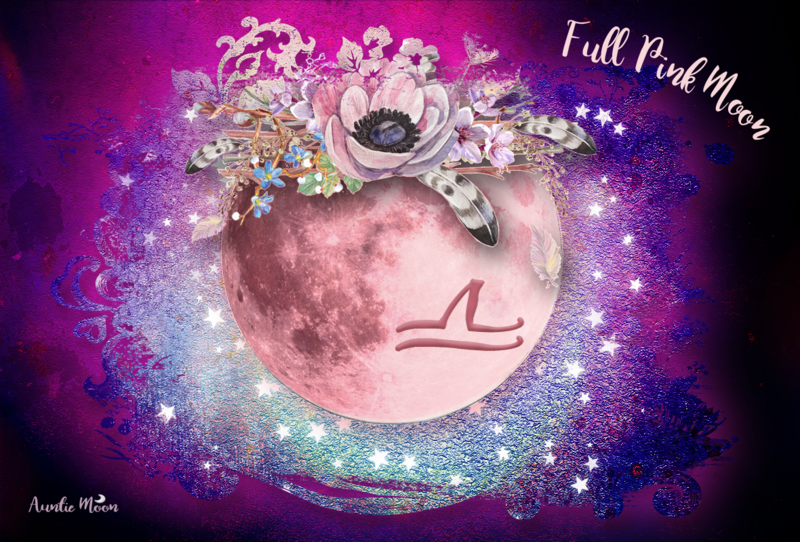 T he Moon travels through four signs this week, ending with with a Full Buck Moon on July 8th or 9th, depending on where you live. For the Eastern Time Zone and points east, the Full Moon is on the 9th (12:07am EDT). That’s only a few minutes after midnight for east coasters, but well into the day if you happen to live on the other side of the Atlantic ocean. 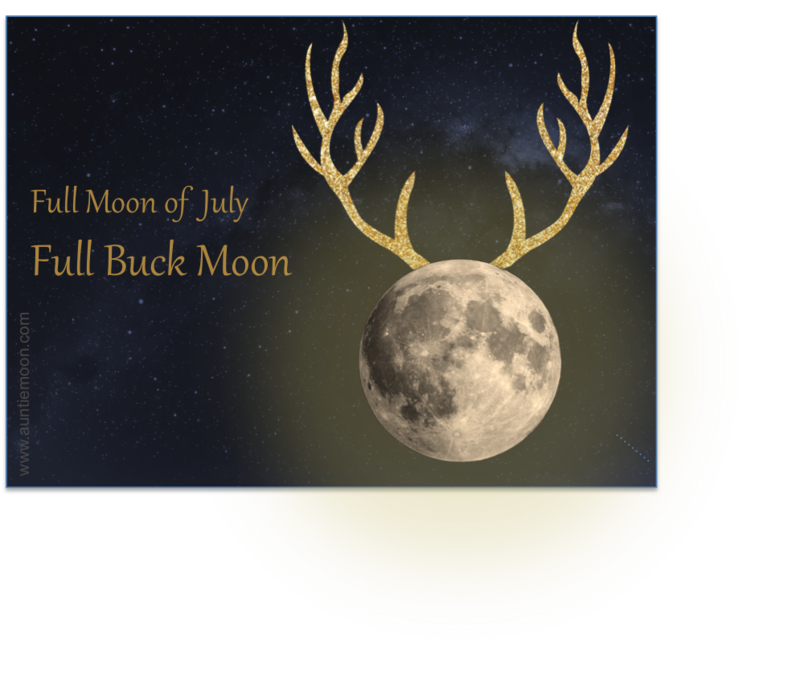 For everyone else in the States, the Full Buck Moon is on the evening of the 8th, 9:07pm (PDT). We start the week in the First Quarter Phase. Then the Moon enters the Gibbous Phase on the 4th, finishing up with that time-zone crossing Full Moon. The Full Phase lasts through July 12th. If you make Moon Water, you can make it on the night of the 8th or 9th as the Moon will be in Capricorn all night on both nights. Capricorn Moon Water is strengthening and protective. Use it in protective door washes or to mark boundaries. It’s a great choice for making bone broth. Just be sure you are using unopened bottles of pure water to cook with. When the Sun and Moon are in harmonious aspect, our feelings support the business of living. 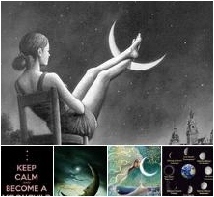 Sun in Cancer is in harmonious aspect with the Moon in Scorpio on the 3rd and 4th. Cancer/Scorpio is an intensely emotional and psychic combination. Follow your hunches, trust your gut on these days. The Moon receives the gift of optimism and hope for the future when combined with optimistic Jupiter in an easy aspect. Moon in Sagittarius gets an additional lift from her ruler, Jupiter, on Thursday, the 6th when they are in sextile. This joy boost comes early in the morning and will carry us through the day. Maybe some of us will find not only joy, but a little luck, too. There aren’t any days this week when the Moon is in easy aspect with Venus, currently in Taurus. While a lack of Love Days may be disappointing, the news isn’t necessarily bad. There’s only a brief period when the Moon and Venus are at odds, and that comes in the middle of the night on the 4th/5th. So, overall, it’s an even keel for the two reining ladies of the zodiac. I’ve been posting Advice from the Signs cards on Face Book recently and have turned them into a simple oracle. 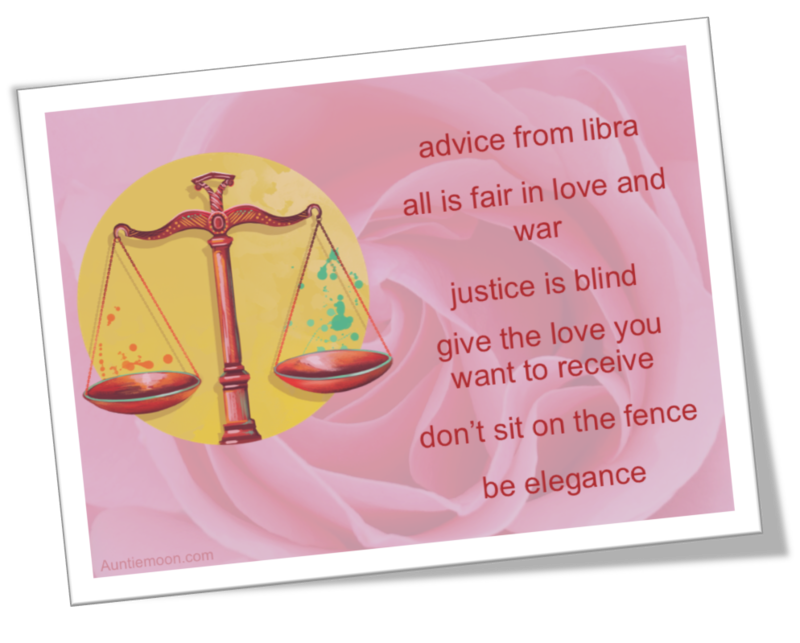 Check it out here: Advice from the Signs Oracle See Advice from the Signs cards here.